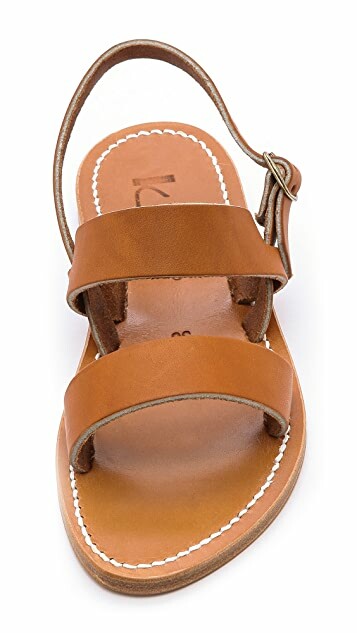 Clean-lined K. Jacques sandals styled with wide leather straps and a buckle closure. Leather sole. 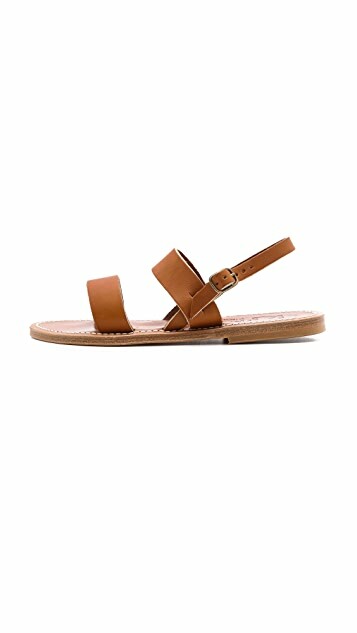 Living in tropical country, this sandal is worth the investment. It has beautiful craftsmanship although the left pair has slight off stitches but it makes it more personal. Comfortable even for first time wearing, no need break in, the leather is soft. Fitting is slightly narrow, so wide feet person might want to size up. Woo-hoo! 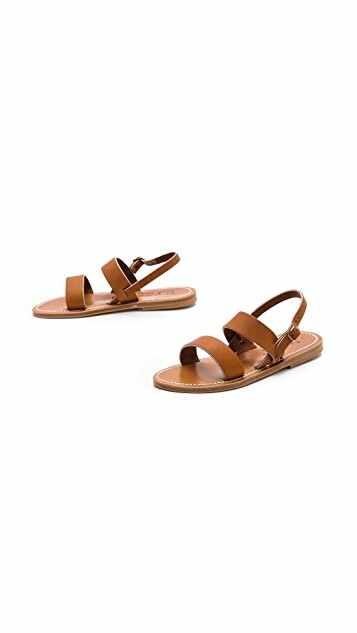 I took a major leap of faith buying $250 sandals! I was sure they were going to hurt and I was going to regret it big time. But they felt great right out of the box and I've been wearing them for two weeks now blister-free. They run narrow - I read this all over the web - so if you have extra wide feet, you might find them really uncomfortable. 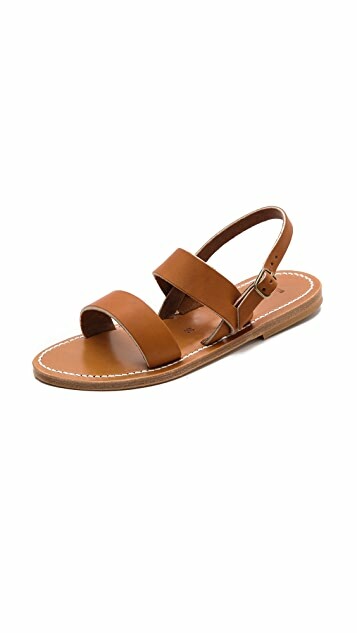 My feet are usually a medium, though, and although they were snug at first, the exceptional leather stretched out to perfectly fit me like a glove after one day of wear. I got the 39 and they're more like an 8 (French sizing runs small) - so if you're closer to a 9, definitely go with a 40. So happy I bought these! Going to have the soles reinforced for years of wear in these classic sandals.